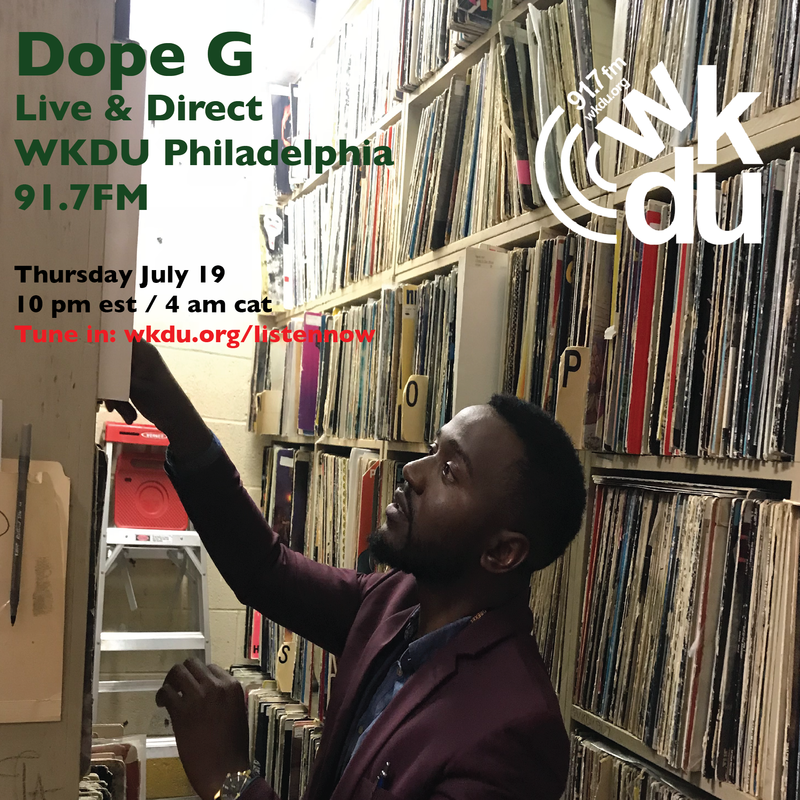 Zambian artist and Mandela fellow Dope G, real name Sam Sakala, graces the Philly airwaves for a live set of originals, exclusives, and re-works alongside KDU DJ Chris B. In this storytellers style session, Sam will share his perspective on hip-hop from Lusaka, to Jo'burg, to Brooklyn, and back. Hosted by Duprex Snape of Jamcity Rock, please join us for this special evening of international hip hop and soul flavor.